How do I get to my account information? Click on the "My Account" link in the menu bar. If you're not logged in, the system will ask you to login. You will then have to click "My Account" again. 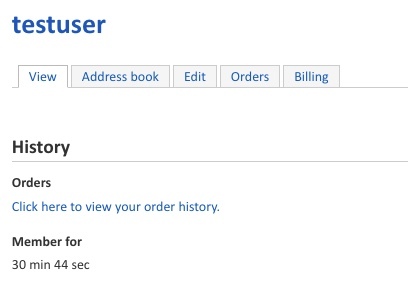 You're now free to view orders, enter shipping addresses, edit your account information and enter billing information.